Brooklyn is no longer the only borough making a name for itself in the local craft beer industry. Thanks to the Bronx Brewery, the northernmost borough is staking a claim in the market with a fun spot dedicated to making pale ales. 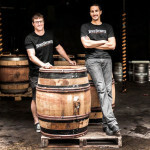 Founded in 2011 by co-presidents Chris Gallant and Damian Brown, the Bronx Brewery is located in Port Morris, a mixed-use neighborhood near the Major Deegan Expressway. While still young, the brewery in the Boogie Down is certainly finding a following with its impressive lineup of year-round and seasonal beers that can be found on tap and in stores throughout the tri-state area. With a tasting room, tours, and a backyard to sit back and relax in, it’s quickly becoming a popular spot for both locals and Manhattanites looking for a day trip. 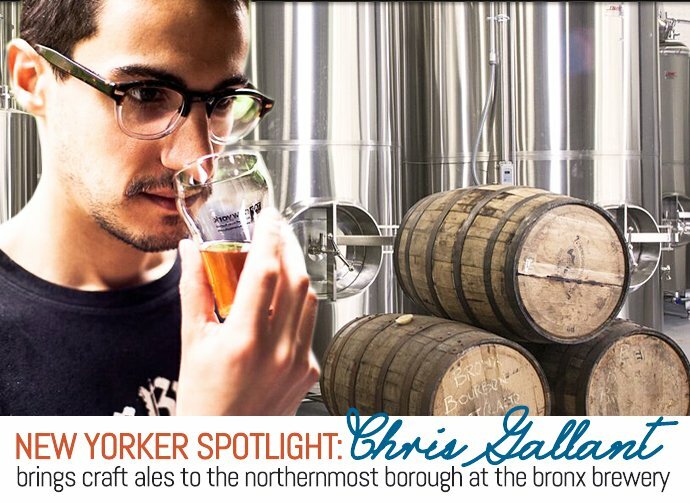 We recently spoke with Chris to learn how the Bronx Brewery came to be and how the company has evolved and grown over the last few years. Why brew beer in the Bronx? I look at the Bronx as where stuff is made in the city. You don’t make stuff in Manhattan, and Brooklyn is becoming a place where you don’t make stuff anymore either. Right next to us is a custom furniture maker and a coffee roaster, and there’s artist lofts next door. What was the inspiration to start brewing? I used to work for Heineken in South America and had wanted to move back to New York and start my own company. I love the brewing industry and I love beer, so I knew I wanted to open a brewery and that it was going to be in New York; this is my home. Right around the same time, I wound up meeting my partner Damian Brown, who went to undergrad with my wife. 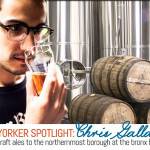 He was actually finishing his Master’s in brewing practice, so we decided to partner up and open in the Bronx. 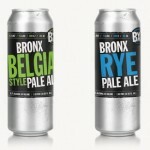 We launched with our American Pale Ale [formerly known as Bronx Pale Ale], and we’ve been selling that now since 2011. What was the initial response to your first pale ale? People were impressed by it. They were excited to see a new beer in the city. There were only a handful of breweries before we opened up. It’s been pretty awesome over the last four years to see all the breweries in the city now; I think the number is close to 20. For several years, you didn’t have your own brewing facility. Where was the process taking place? Before we had the brewery, we had the name and the mission. We started with a brewery up in Connecticut called Cottrell Brewing Co. We had a partnership with them where we bought a bunch of fermentation tanks. Damian would drive up and brew the beer and then he’d drive one of those old Red Bull trucks back with the kegs. We had a warehouse on Bruckner Boulevard in Mott Haven about a mile away from our current spot and based everything out of there. And then we would drive around the city and drop off ourselves. When the time came to open your own facility, why did you pick 136th Street? When you’re building a brewery, there are very specific things you need to look for in terms of building size, ceiling heights, and what the floors are like. We knew we needed to be in an industrial area to be able to get that building. And then we started to look in different areas in the Bronx and felt that Port Morris is easy to get to for anyone from the Bronx, the City, Westchester, or Long Island. 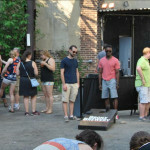 There seemed to be a very cool community of start-ups and artists here, so we thought we fit in pretty well. Did anyone question whether the Bronx and beer were a fit? I think we’ve had some people question if it was a fit or whether something that was consumer-based should be coming out of the Bronx. I think us and other great companies like Bronx Baking Company have started to change that image for people. There are some more businesses coming in. Uptown Roasters is new. 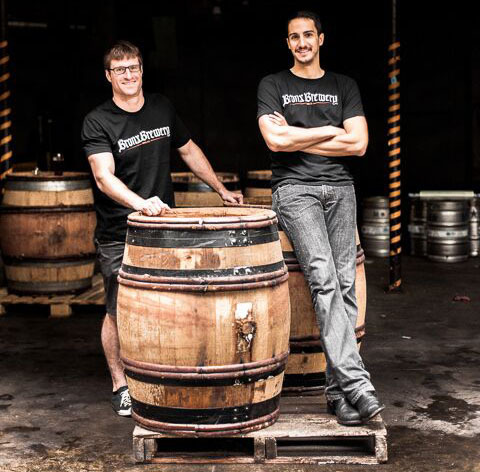 The guys who own Port Morris Distillery down the street are opening up a restaurant. We like to keep our beers pretty simple. Everything that we make, except for some very small batch stuff, is in the pale ale category. We really believe in being an inch wide and a mile deep and being experts on a single style of beer. We don’t have wild and crazy names for most of them. We just keep it pretty straightforward — American Pale Ale Rye and Belgian Pale Ale. We look for what sort of flavor profiles we want, what do we think might be missing from our portfolio, what are people out there really looking for, and then we figure out how we want it to taste, what flavor and aroma profile we want, and then the brewing team comes up with a recipe. 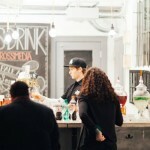 Where does The Bronx Brewery find inspiration for its seasonal lineup? We find inspiration from the season itself. We try to do something a little bit different than what’s out there. For our fall beer, instead of coming up with a pumpkin ale like a lot of breweries have, we came up with an apple ale. Who makes up your customer base and how are they learning about you? Five years ago, the core consumer was young, 25-35, male. The consumer of craft beer has changed tremendously over the past couple of years. There’s really no one type of person anymore. People of all ages, both sexes, from all backgrounds are drinking craft beer. That’s the great thing about what’s happened in the industry. During the week we get a lot of locals, people who live or work around here. 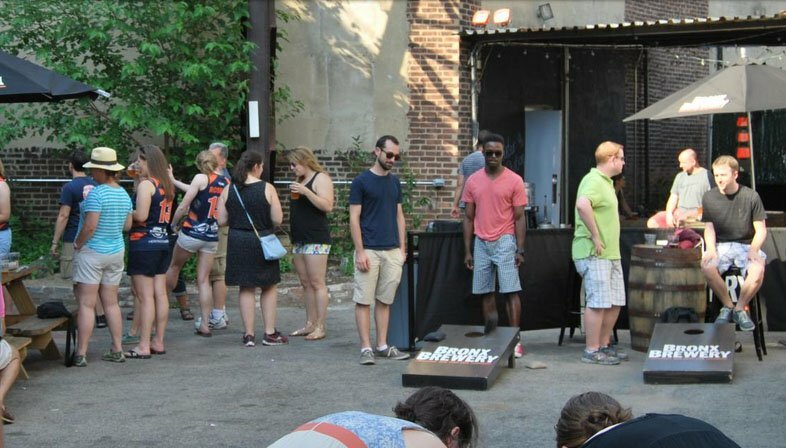 The weekend is more people venturing from other parts of the city or state. I think they are learning about us through a couple of ways. They’re seeing us in bars and stores. They’re learning about us through social media and press, and then hopefully through word of mouth, too, which means people are telling their friends that they tried our product and really liked it. Does the brewery have any exciting beers or plans coming down the pipeline? We’ve got some pretty cool beers coming out for the winter and the spring. The winter beer is going to be a pale ale inspired by ginger snap cookies, and then the spring beer is going to be a pale ale that’s infused with tea. We’re also starting something called B-side Series. It’s sort of like the back of a record where the artist will play around with something different than what they usually do. In this series, we’re doing single batches of different types of beers. The one that is being released this week is red IPA, and it’s brewed with local serrano peppers from the Bronx Greenmarket Hot Sauce, a local company that sources it’s peppers from Bronx community gardens. 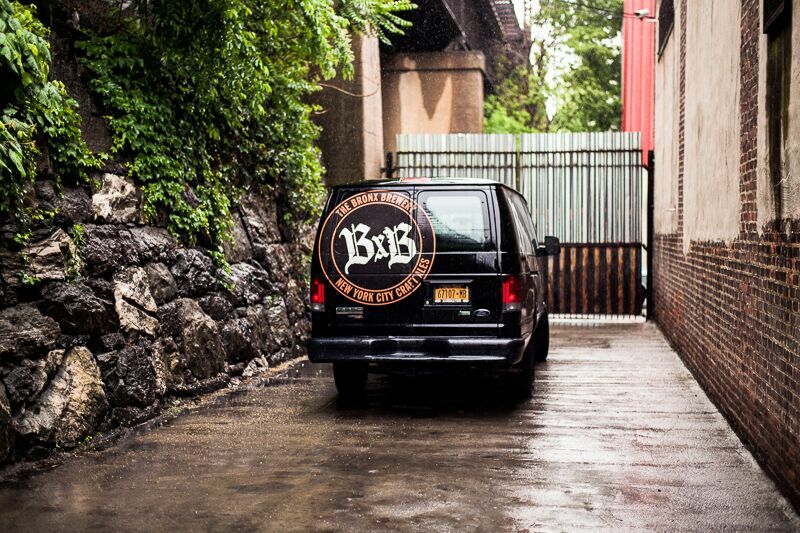 Since its founding, how has The Bronx Brewery evolved? 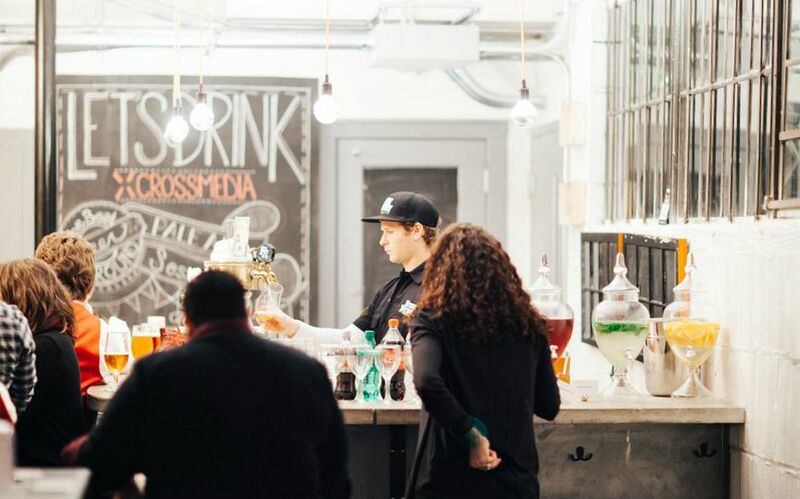 It evolved from a company of two people with leased production space to a company of 23 people, a brewing portfolio of many, many more beers, and our space here on 136th street. Looking down the road, is the goal to become a nationally known craft beer? The market has changed so much over the past few years with so many breweries coming in that being a national company would be great, but for right now we are set on becoming a regional company and selling as much beer as we can in our backyard. What does bringing together beer and the Bronx mean to you? On a personal level, it means connecting with our community and providing a place for people to come and experience. It means providing jobs. And it means providing a product that people from the borough can be proud of.